There are three main building blocks that all computer programs consist of: sequence, selection and iteration. 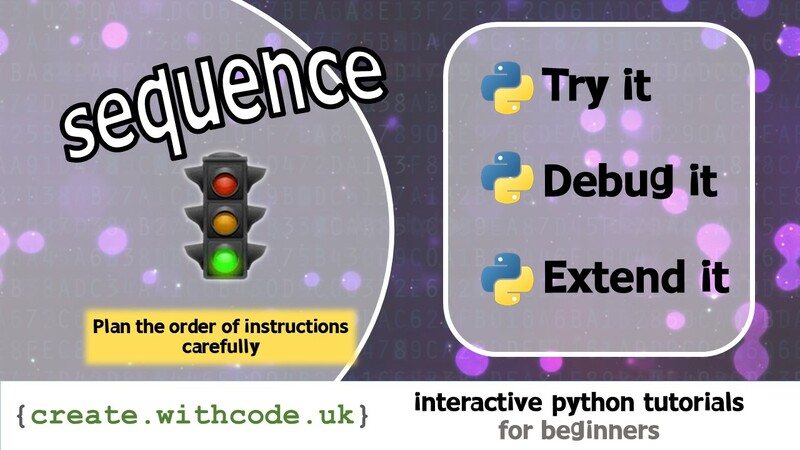 This activity is designed to help you design and code your own sequences with python. The colour of traffic lights follow a sequence that’s carefully planned. If the wrong lights show at the wrong time then you’ll probably agree that bad things will happen. It’s just the same with lines of code: sometimes the order in which your lines of code run is really important. Sequence means running instructions in a set order to do what the program needs to do. This activity gets you thinking about the order your instructions so that you can avoid common mistakes when writing python programs.